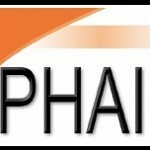 PHAI » Blog Entry » Yet another plaintiff’s verdict in Florida: Piendle v. RJ Reynolds Tobacco Co. et al. A Palm Beach, Florida jury today returned a verdict of $2.2. million against Philip Morris and R.J. Reynolds, on behalf of Liz Piendle, the widow of Charles Piendle, who died from lung cancer in 1996 at the age of 55. The jury assessed $4 million, but found Mr. Piendle to be 45% responsible while the two defendants were found to be 55% responsible (27.5% each) for his death; therefore, the $4 million figure was reduced to $2.2 million. The jury also found that Mr. Piendle was addicted to cigarettes containing nicotine, that his addiction was a legal cause of his lung cancer and death, that Philip Morris and R.J. Reynolds placed “defective and unreasonably dangerous cigarettes” on the market and that “by clear and convincing evidence” punitive damages are warranted against both of the defendants. The Piendle family is represented by Searcy, Denney, Scarola, Barnhart & Shipley; Attorney Greg Barnhart can be reached at 561-686-6300. Edward L. Sweda, Jr., Senior Attorney for the Tobacco Products Liability Project (TPLP), a project of the Public Health Advocacy Institute, was delighted with today’s verdict. “There have now been 19 plaintiff verdicts out of the 22 Engle Progeny cases that have gone to a full jury verdict. Today’s verdict is welcome news for the Piendle family as well as for all those who believe that corporate wrongdoers deserve to be held accountable for their reprehensible misconduct. We look forward to the jury’s assessment of punitive damages in this case, something designed both to punish those wrongdoers and to deter such misconduct in the future,” Sweda concluded. Posted in News, Press release, Tobacco | Comments Off on Yet another plaintiff’s verdict in Florida: Piendle v. RJ Reynolds Tobacco Co. et al.